Wow, it’s been so long since this trip, and I feel terrible for not blogging about it sooner, but as is the theme with this blog, there’s always been another trip on my mind that we have been preparing for. Berlin wasn’t planned until about 2 weeks before New Years. It wasn’t until then that Nick found out he would have New Years off, so we frantically got to planning. There were so many ideas thrown around. Some of the base recreation trips were thought about – for example Paris and Berlin. Nick came up with the idea of driving/taking the ferry to London ourselves and spending a couple of nights there, but in the end we decided to go to Berlin since we’d never been there before and apparently they put on a good party. Boy – were they not wrong! But first, let me tell you about a recent purchase we made. Nick had always been obsessed by the thought of a diesel BMW. It was especially brought to fruition after our many stops for gas on our road trips so far, and how expensive it was turning out to be. All our trips were planned around the nearest gas station to the border. Well, Nick found his car. 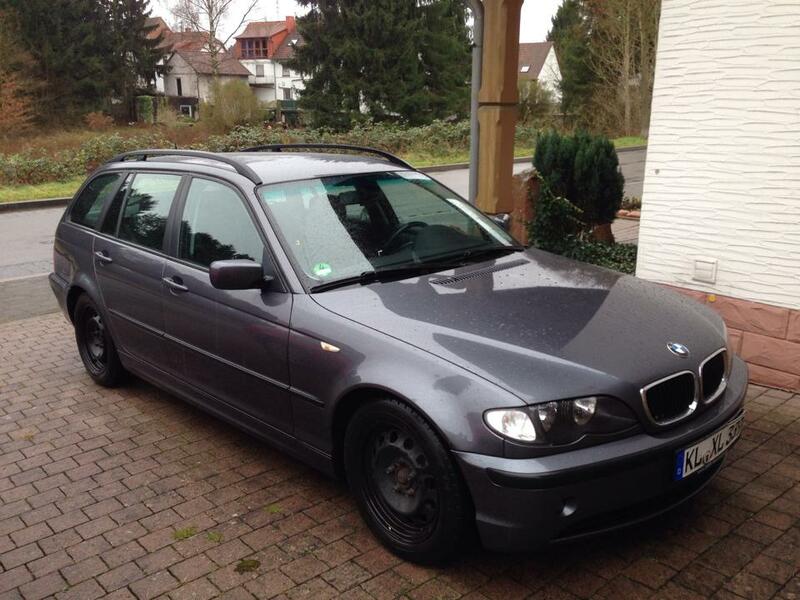 It’s a beater 2002 BMW 320d station wagon that has clocked up over 300,000km. Our trip to Berlin was done on one tank of gas (that cost around $50). I don’t like the idea of having 3 cars, but this cheap purchase totally made sense for home much we travel, and hopefully Nick can keep it alive with his mechanic skills. It’s also nice having a workhorse – we went to IKEA the other day and fitted in an amazing amount of furniture, not to mention the trip to the dump the other day. I think we will have to get one when we move back stateside! Now – back to Berlin. The drive took about 6 hours, and we left on the 30th. We only really hit traffic once and that was when we reached the Berlin city border. There were a lot of rolling hills on the way, but we didn’t hit any snow, which surprised me. 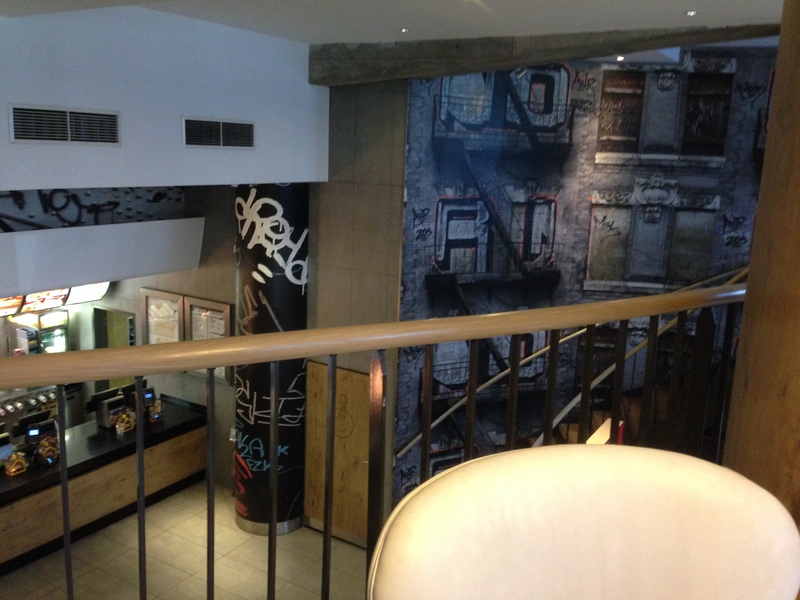 We stayed the first night at Scandic Hotel in Potsdamer Platz that was such an awesome hotel. It seems in Germany that a lot of the hotels are reminiscent of the 1980s, but this one was new, modern and it kind of felt like we were staying in an IKEA showroom. I loved it. And even better, I think we paid around $90 for the night and it came with the entire mini bar free! Woohoo! We explored Potsdamer Platz at night by foot, and found a little Thai place in the mall across the street that was pretty delicious. Nick found his new favourite – ‘summerrollen’ (Vietnamese rolls). There was a Christmas market still going on outside the mall, and the square area was all lit up with pretty lights. It felt like such a new, modern area, and I read that it was once part of no mans land between East and West Berlin. Prior to the wall being erected, Potsdamer Platz was known as the ‘Times Square’ of Berlin. Apparently Berlin is trying to recreate that feel, and I think they are doing a good job. It’s hard to imagine that the hotel we stayed at, and the mall across the street, was once part of East Berlin. The next day we got up and had to check out of the Scandic 😦 We rolled our bags towards our other hotel which was near Checkpoint Charlie. Since we were booking so last minute, we had to move hotels for the 31st since Berlin was so booked up. The next hotel was okay, but it was kept extremely hot! We wandered during the day and visited Checkpoint Charlie, part of the wall, and the Holocaust Memorial. We also read my little tour book and discovered where Hitler apparently topped himself. I don’t know what I was expecting, but I certainly wasn’t expecting an apartment building. The only reason we knew we were in the right place was because it had an information board by it, and we could hear tour guides talking about it and we were indeed in the right place. It was extremely close to the now-American embassy and just across the road from the Holocaust memorial. We then headed to the Reichstag for a tour. You can book a free tour of the Reichstag online, which we did. We got given a headset with an audio guide – that was free, and as you walked up the dome, the prompts set off information about the Reichstag, it’s history and the current government. I enjoyed it, and there was no hiding of German’s fraught political past. Nick had fun looking at some of the photos that they had chosen to put up. The view – I can see Ernst & Young! It was time to head back to our hotel and figure out what to do that night. They were already setting up for the big party between the Brandenburg gate and the Victory Column. Shops all closed by 4 at the latest (it was it 2?) We found a store owned by Russians and purchased a bottle of Prosecco to start our New Years celebration at the hotel, then headed on foot for dinner. It was getting pretty cold, so my big piece of advice is to rug up! Thankfully we had a feeling that Berlin was going to be a lot colder than the KMC area and took much heavier clothing. 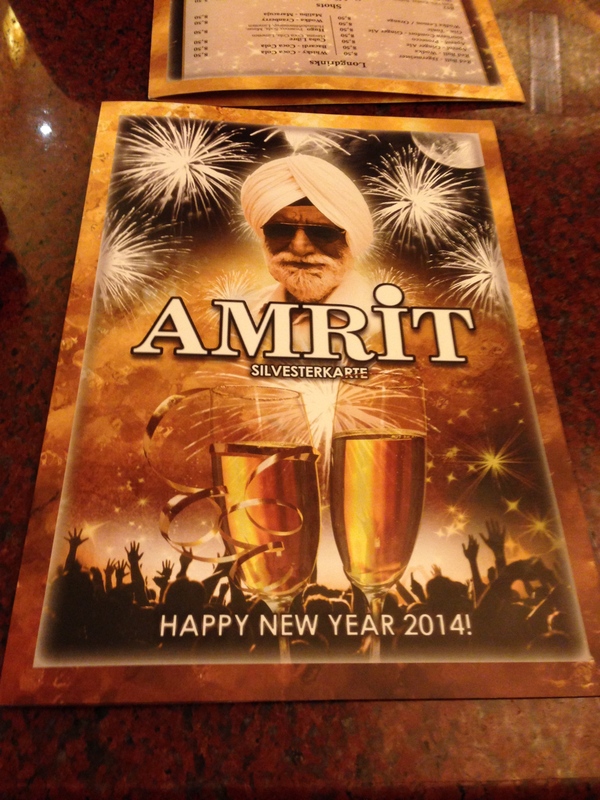 We came across an Indian restaurant opposite the Potsdamer Platz mall that had a New Years dinner special, so we went in there and enjoyed a delicious meal and drink before heading to the party. The Germans really are crazy. Outside the restaurant people were letting off rockets on the street corners that made the entire restaurant shake. The first time one went off, I was pretty sure it was a suicide bomber. Thankfully, it wasn’t. This went on- on every street corner – all night. I guess the Germans are given only a couple of days a year to let off fireworks and they really make the most of those hours. Still, it was fun, and really started up the party atmosphere. By the time we headed towards the party, we couldn’t enter through the main gate, so we were sent down the road to the back entrance. Nick was pretty sure someone attempted to pickpocket him, so be aware. We were smart enough to put everything valuable inside his jacket in his internal pocket. When we entered, it seemed like we were really missing out on the party. The top end felt pretty dead, so we started to push our way through the crowd. Until the pushing could go no longer. Then we were getting pushed back on. Then we started getting scared, then we had to push our way out. Or should I say, Nick dragged me out of the crowd by my jacket. It felt like a dangerous situation, the way people were pushing and then at some stages it was getting hard to breathe. We headed back towards one of the top stages, wasted about €10 trying to win a minion in a carni game, ate some sausages, drank some drinks, then met some Americans! The rest of the night was spent hanging out with them, and they were cool people. I ended up Turkish dancing with some Turkish people and straining my thigh muscle, which was fun at the time but not when I couldn’t walk properly for two weeks. The things you do! We also had a conga line going for a bit too. Good times! One of them bought a bottle of sparkling wine which we all shared when the fireworks went off, bringing in 2014. It actually was pretty magical, I’m not going to lie. We walked back to our hotel, which felt surprisingly safe, and nursed our (sore) heads to sleep. The next morning, we both woke up extremely hungover. I guess old Grandma just ain’t what she used to be. My main concern surrounded finding a cheeseburger. If anyone knows me well, they know a double cheeseburger is my go-to on a post drinking night morning. We dragged our weary heads out of bed, left our bags at the hotel and headed towards the McDonalds at Checkpoint Charlie. This place is seriously the coolest McDonalds I’ve ever seen, it’s decorated awesome and it has self service menus so you don’t have to attempt broken German at all. We downed some burgers, chicken nuggets and chips and all was good in the world again. We headed to the Checkpoint Charlie museum across the road to indulge in some culture. To be honest, I expected more, and it cost something crazy like €20 each to get in. Not worth it. Some of it was interesting, but the place really needed an overhaul. It was also marred by my losing my North Face gloves that Nick had got me for Christmas, which some kind citizen left in a visible place when I was scouring back through the museum (it helps to have baby sized hands – no one could probably fit in them to keep them). We stopped for Starbucks in the same area – and had a run in with some Norwegians or Swedes. I was holding a table for Nick and I while he ordered, and some of them decided they wanted my table! They sat next to me and across from me, I guess trying to get me to leave. I stood my ground until Nick came back and he was like wtf? We both thought they would move when he got there, but they sat so close beside him and wouldn’t budge. It was awkward, but funny thinking about it. There really are cultural differences that you don’t even realize until a situation like that. We love our space, and the continental Europeans just don’t seem to have any idea of a ‘bubble’! 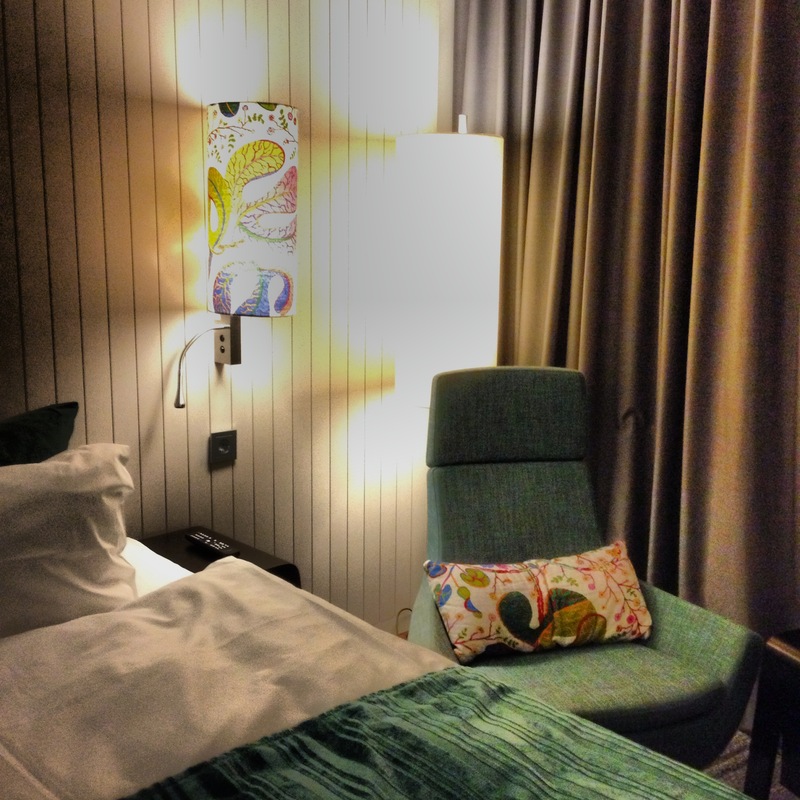 Our last night was spent back at the Scandic. We ended up at Pizza Hutt in Potsdamer Platz for dinner. It was interesting to see the European’s take on Pizza Hutt, but it hit the spot. The next morning we left for our drive back which took about the same length of time. Nothing eventful happened on the drive, but we did notice that the Frankfurt skyline at night is actually pretty gorgeous coming back over the hill. We returned to find that someone had tried to break into our house while we were gone, so we ended up with Polizei at our house for a couple of hours. That debacle ended up with us moving out and in a new house now – pictures will follow later. And that is my blog about Berlin. 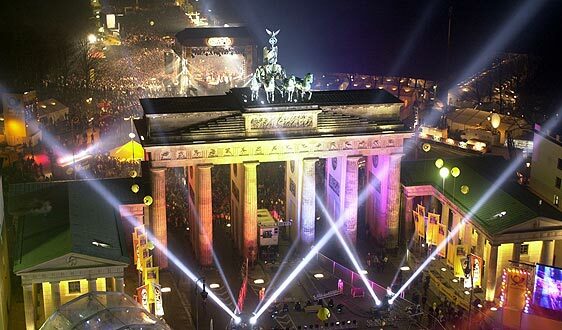 I would absolutely go back to Berlin for New Years. It was an awesome time. The thing that struck me is there were at least half a million people in a small area, drinking heavily, yet it didn’t seem like there was any mischief or fights going on. There was no real security on entry. Europe surprises me sometimes at how safe, seemingly unsafe situations are. My next few blog posts will be about our trip to New Zealand once I have all the photos downloaded. Another great story Emma! I loved all of the details and the colorful highlights. You really should think about writing for a hobby(it could pay off in the future)! Loved it once again! Thank you!